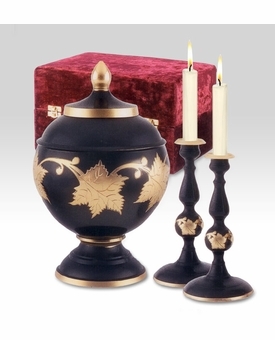 The Ebony Leaf Memorial Set with Urn and Candlesticks are solid brass with a stunning high-gloss black lacquered finish and hand-etched artwork. 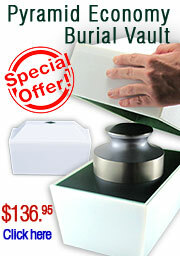 The set features an urn with a threaded top to secure the contents, a felt bottom to protect display surfaces, and two matching candlesticks. A velvet case is included. 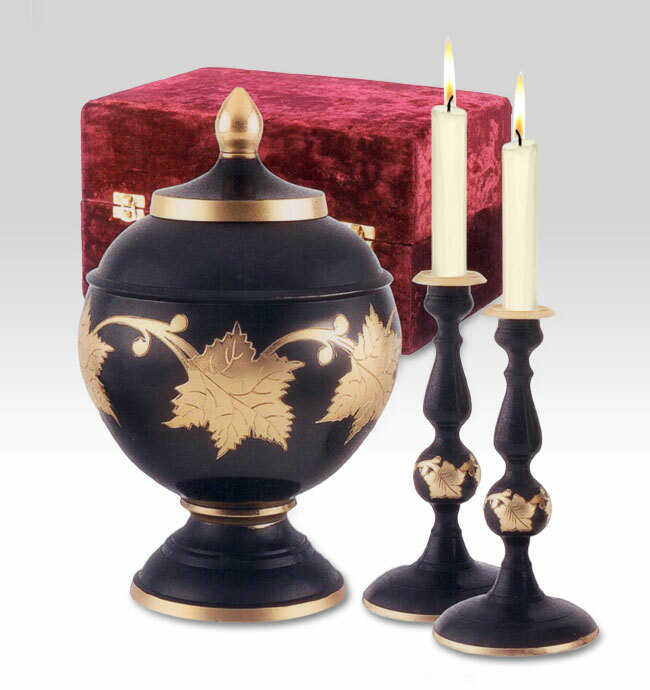 Note: candlesticks are not for cremains and the set does not include candles.